Our design team created the 3-dimensional logo for UK Arts Malaysia—a hand-moulded and painted clay figurine that was used as a unifying visual element on all promotional materials. The concept behind the clay mascot hinges on two thoughts. On an abstract level, it serves as a representation of imaginative freedom—the liberation from the everyday to a realm of creativity and ingenuity, comparable to performers performing onstage. On the everyday level, the mascot serves as a symbol of the ordinary Malaysian within the city, set free by the delight of art, culture, and imagination. The logo also consists of various shapes in the background, which can be interpreted as a representation of the props onstage during a performance, as well as the high-rise towers of Kuala Lumpur. creativeopportunities was a series of events organised through the collaboration between The British Council and various partners. It features the Time for Tea exhibition as its main event alongside a musical by The Wallace Collection, a theatre performance of the literary classic Jane Eyre, and other peripheral activities. The logo design for this occasion—a spoon twined with a strand of line and styled to look like it was caught in a rapid stirring motion—was based off the main exhibition, Time for Tea. It also took a proverbial, tongue-in-cheek cue from the saying ‘storm in a teacup’. creativeopportunities used this logo as the common visual to tie in all events. 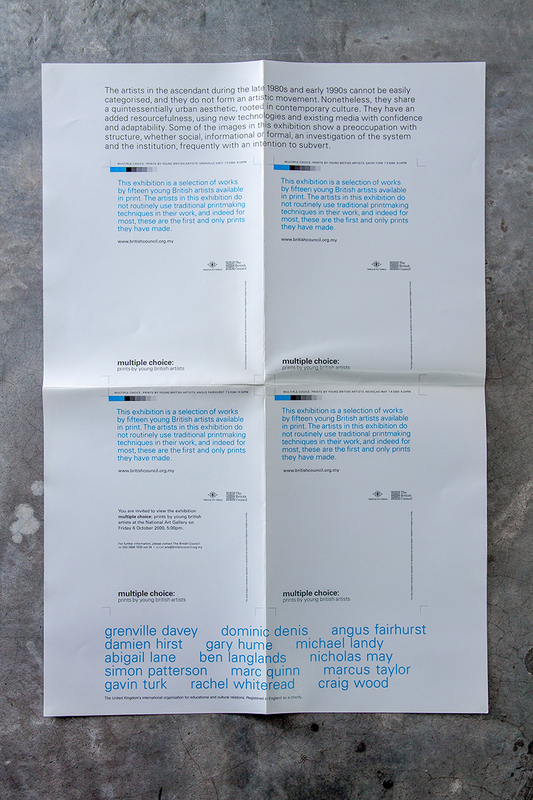 Leaflet front (open), printed in two colours, Black and Brilliant Fluorescent Orange. Leaflet back (open)—printed in matte Brilliant Fluorescent Orange with gloss UV varnish for the outline of tea pots. 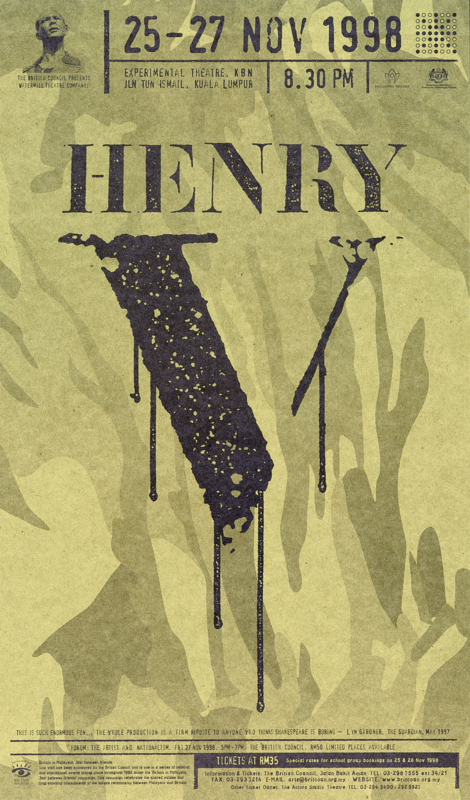 Some posters promote two (or more) performances. 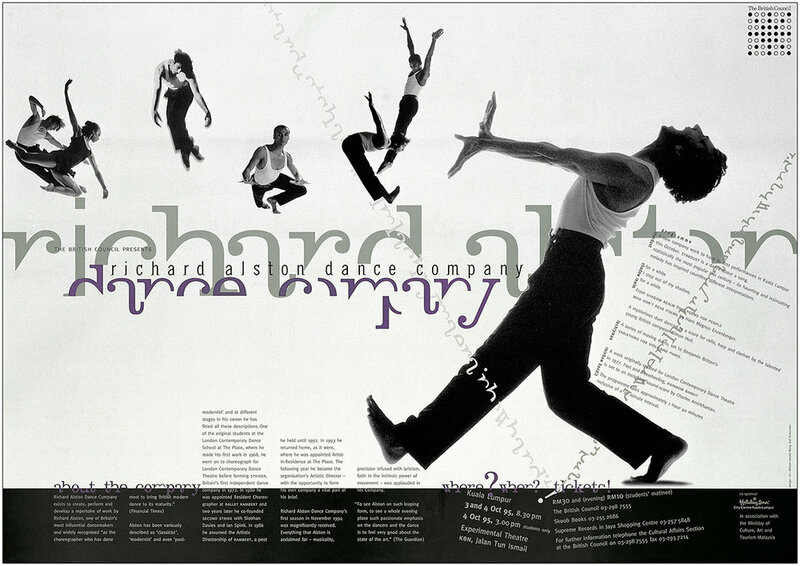 Gormenghast and Richard Alston Dance Company opened within a month of each other, and so were printed on both sides of a single poster sheet. They were displayed side-by-side either horizontally, or if space is restricted, vertically. Poster for Stung and Millennarium (folded). Poster for Stung and Millennarium (unfolded). Information duplicated four times at the back of the poster, a play on the title. 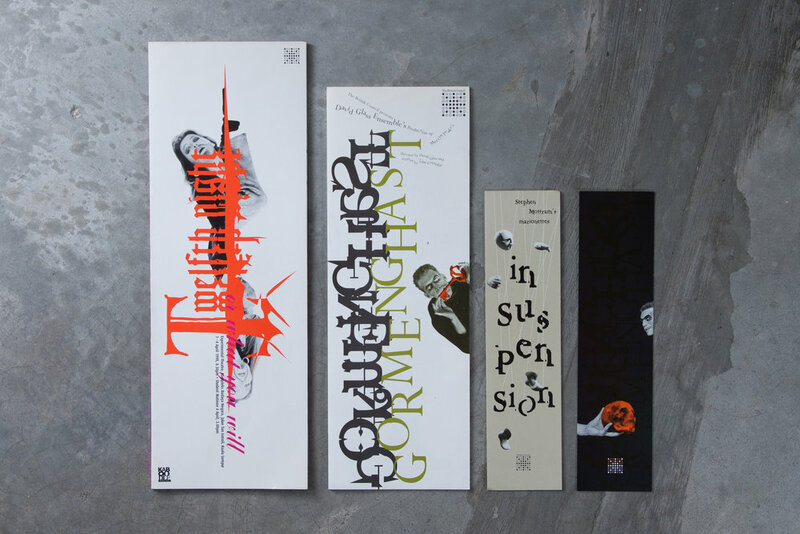 Aside from the poster, flyer and programme book, many exhibitions and performances also had bookmarks, which were freely distributed before and during the performances. Hopefully they can find a home between the pages of a book. 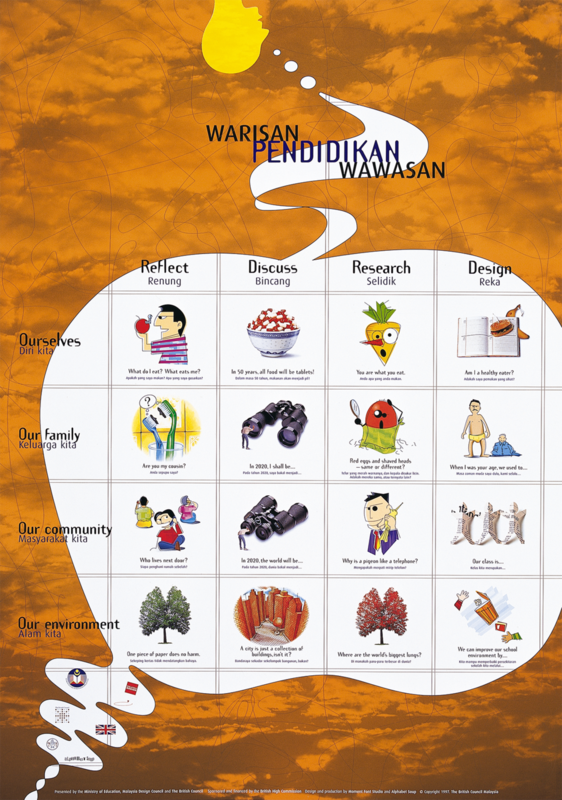 Besides promotional materials for performances, we worked closely with The British Council to produce various educational materials to encourage critical thinking among students in Malaysian schools. Over the years, our company designed many collaterals for The British Council and British High Commission. 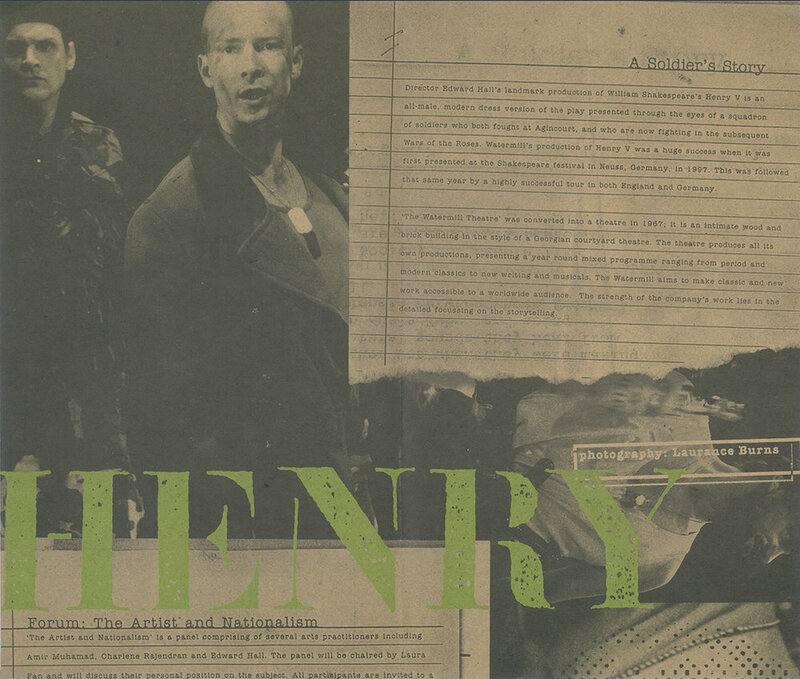 The frequency of these events, especially in the field of art and culture, eventually slowed, and our work came to an end when Britain reworked its strategy for Asia by focusing on Mainland China. The use of culture to underpin a wider economic and diplomatic drive makes sense in the context of the UK’s stature—increasingly recognised in China—as a world leader for the creative industries.